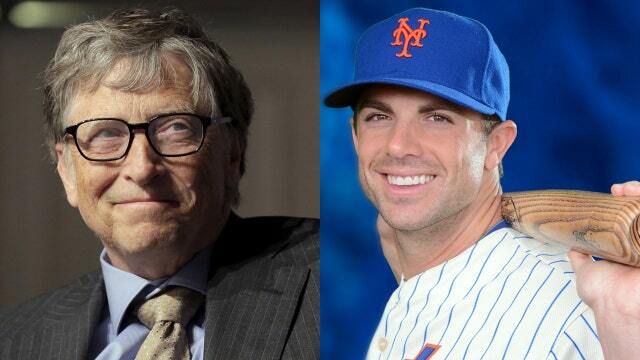 Billionaire Bill Gates and New York Mets captain David Wright see money in a meatless venture that’s sweeping the country. Tech billionaires and star athletes alike are going meatless, both in terms of their diets and their investments, thanks to a California-based startup. “The opportunity to invest in a food company with a mission to positively impact the food industry and our planet for future generations was one that, as a new father, really excited me,” New York Mets captain and third baseman David Wright tells FOXBusiness.com. Wright, alongside other big investors like Microsoft (NASDAQ:MSFT) co-founder Bill Gates, Twitter (NYSE:TWTR) co-founder Biz Stone and most recently Tyson Foods (NYSE:TSN), the world’s largest producer of meat, are backing Beyond Meat. “We’re still meat. It’s just meat directly from plants. Think of it as an innovation in meat essentially,” Ethan Brown, co-founder and CEO of Beyond Meat, tells FOXBusiness.com. Brown started the company in 2009 after he licensed technology from professors at the University of Missouri who were able create meat directly from plants by running the matter through a biological system. “What we have done is figure out a way to take those same type of materials from plants and run them through a process of heating, cooling and pressure to create a piece of meat. So, you’re getting essentially the same things in terms of proteins, fats and water but it’s coming directly through a system that comes from plants versus going through the animal,” he adds. A Beyond Burger patty has 20 grams of protein, 25% iron, 5 grams of saturated fat and no cholesterol — with a total of 22 grams of fat and 290 calories per patty. Animal-based beef meanwhile has 19 grams of protein, 12% iron, 9 grams of saturated fat and 80 milligrams of cholesterol — with a total of 23 grams of fat and 287 calories per serving. “That’s why we have a lot of athletes that are endorsing our products for us. It’s such a clean source of protein,” says Brown. Alternative proteins are needed not only for certain health issues, but also for environmental ones. The “Livestock’s Long Shadow” report, which was conducted by the United Nations Food and Agriculture Organization in 2006, estimated that 18% of the annual worldwide greenhouse gas emissions (GHGs) are attributable to cattle, buffalo, sheep and other poultry. But in 2009, the Worldwatch Institute released a new calculation by Jeff Anhang and Robert Goodland that found that the livestock sector was tied to 51% of GHGs. “While there have been a variety of calculations of livestock’s environmental impact worldwide, this data often overestimates the regional impact, particularly in developed nations such as the United States. US EPA data says all of agriculture contributes 9% of GHG emissions in the US and livestock production is 4.2% of the total,” Eric Mittenthal, vice president of public affairs for the North American Meat Institute tells FOXBusiness.com. And, with the growing population expected to reach 9.7 billion in 2050, the demand for meat is expected to double. Brown says that’s one of the reasons that he decided to team up with Tyson Foods even after receiving backlash from some of his early supporters. “What we are doing is looking at changing the food system and for me my motivation is to try to get plant-based meats on as many plates as I possibly can and I believe Tyson can help me do that. And, the people that are hung up on large corporation versus small corporation etc., need to look past that and work together to try to solve the bigger issue,” adds Brown.